The utilization of cervical spine instrumentation in the young pediatric patient is not well reported. 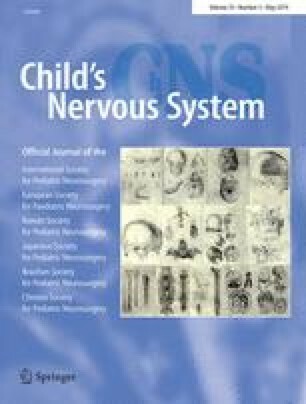 This study presents outcomes and complications of cervical spine instrumentation in patients who underwent cervical spine fusion surgery before age 10. Radiographic and clinical data were collected on all patients who underwent cervical spine surgery with instrumentation at a single institution between January 1, 2006, and March 31, 2015. Patients were ≤ 10 years of age at the time of surgery with any cervical spine deformity/injury diagnosis. Patient demographics, details on cervical spine diagnosis, procedural data, imaging data, and postoperative follow-up data were collected. Twenty children met the criteria and were included in the study with a mean follow-up of 10.6 months (3 months–2 years). Initial indication for cervical spine correction surgery included deformity (7 cases), trauma (6 cases), instability (3 cases), stenosis (2 cases), rotary subluxation (1 case), and infection (1 case). Fifteen cases were treated with adult 3.5-mm cervical spine instrumentation, 3 with wiring (1 sublaminar and 2 spinous process), and 2 with cannulated screws. Postoperative immobilization included 16 halo fixation, 3 collars, and 1 CTO. Overall, there were five complications related to the surgery. Two patients who had wiring (1 sublaminar and 1 spinous process) developed a non-union and required revision surgery (1 with cannulated screws and 1 with 3.5-mm segmental cervical spine instrumentation). One patient developed a postoperative infection that required incision and drainage. Five patients developed superficial pin infections for their halo. Two deformity patients experienced neurological complications that were likely unrelated to the cervical instrumentation. Rigid segmental fixation can be safe and efficacious when used in pediatric cervical spine patients. Whether used with halo or orthosis, patients experience minimal to no complications from the instrumentation and achieve successful fusion. Cervical spine wiring had a high risk of non-union requiring revision surgery. The incidence of wound infection was low with one in 20 cases. We thank Eric Edmonds and Tracey Bastrom for their participation in study design discussions.